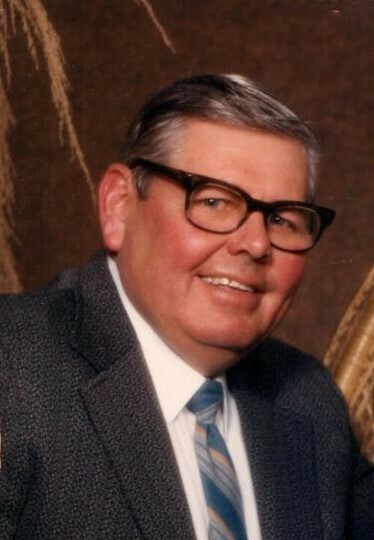 Donald Arthur Swenson, 87, of Crookston, MN, passed away early Thursday morning, August 16, 2018, at the Villa St. Vincent in Crookston with family at his side. Don was born on November 30, 1930 in Gary, IN, the son of Gust and Anna (Bakken) Swenson. As a toddler he came with his family to Crookston. Don was educated in Crookston public schools and graduated from Central High School in 1948. He was united in marriage to Theresa Rose Perreault on September 20, 1949 at the St. St. Anthony Catholic Church parsonage in Terrebonne, MN. Don and Theresa made their home in Crookston all their married lives and were blessed by the births of their 3 children: Jeanne, Daniel, and Duane. Don, together with his father, Gust, and brother, Kenneth, co-founded Gust Swenson and Sons in 1948. The company specialized in the design and manufacture of sugar-beet and other agricultural equipment vital to the success of area growers. They took great pride in creating the first sugarbeet cart, which aided greatly in getting the beets from the field to the trucks for transport to the factory. Gust, Don, and Kenny, and their families, were each honored by the Red River Valley Sugarbeet Growers Association for their significant contributions to the sugarbeet industry. Don and his brother, Kenny, were also jointly honored as part of the Ox Cart Days Parade a few years ago, recognizing their many contributions that helped make Crookston a great place to call home. Don was a former trustee and 62 year member of Eagles Aerie #573 and a member of the Crookston Volunteer Volunteer Fire Department for 20 years. After Don retired from Gust Swenson and Sons he spent the next 20 years working for the Strata Corporation, helping maintain their equipment and working as a designer and welder. He officially retired at the age of 86 in 2017. Sadly, Theresa passed away on February 19, 2018. The family is comforted by the knowledge that Theresa and Don are together again, and reunited with their grandson, Michael, and other loved ones. Don and Theresa looked forward to spending time with family at their cabin on the Upper Red Lake, near Waskish, MN. 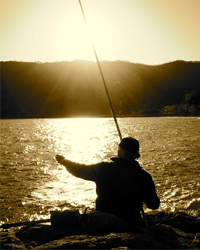 Don would go hunting every chance he got, and together he and Theresa would fish for walleyes. Evenings around the campfire were all about the stories Don would tell his grandkids; some true, some not so much, but all very entertaining. When everyone went to their campers to settle in for the night he would go around and scratch on the windows and make growling sounds, at the same time both scaring and delighting the kids, and creating wonderful memories for each of their grandpa. Don’s family and many friends are grateful to have shared in his life. Blessed be the memory of Don Swenson. Don is survived by his 3 children: Jeanne (Rodney) Meyer of Hillsboro, ND, Daniel (Bonnie) Swenson of Crookston, MN, and Duane (Vickie) Swenson of Independence, MN; 9 Grandchildren: Matthew Meyer, Nathan Meyer, Amanda Meyer, Christopher Meyer, Joshua (Jill) Swenson, Andrew Swenson, Jeffrey Swenson, James Swenson and Thomas Swenson; and 3 great grandchildren: Garrett Meyer, Claire Meyer and Sam Meyer. He is also survived by his 4 siblings: Kenneth (Susan) Swenson of Crookston, Joan Buchhop of Detroit Lakes, MN, Lorrayne Rogers of Minneapolis, MN and Russell (Florence) Swenson of Grand Rapids, MN; 4 sisters-in-law: Louise Oxley of Hurricane, WV, Martha Harty of Milwaukee, WI, Merlyn Perreault of Red Lake Falls, MN, and Virginia Perreault of Morris, MN; his dog, Lucky, who was more like family than pet; and many nieces, nephews, other relatives, and friends. In addition to Theresa, his beloved wife of 68 years, Don was preceded in death by their grandson, Michael Allen Swenson, who died on January 27, 2001; his parents, Gust and Anna Swenson; parents-in-law, Nap and Amanda Perreault; brothers-in-law: Maurice Buchhop, Ronald Rogers, David, Harvey, Vern, and Leo Perreault, Mike Harty, Ben Oxley, and Severin Gauthier; and sisters-in-law: Sr. Germaine Perreault, Lucy Gauthier, Harriet Perreault, and Erma Perreault Skala. A memorial service for Donald Swenson will be held at 11:00 a.m., Tuesday, August 21, 2018, at the Cathedral of the Immaculate Conception in Crookston with Very Rev. Vincent Miller, officiating. Visitation with the family will be at the Cathedral on Monday from 5-7:00 pm, with a 7:00 pm prayer service and time of sharing, led by Deacon Dennis Bivens, and visitation also from 10-11:00 am Tuesday. Inurnment will take place in the Calvary Cemetery, Crookston.